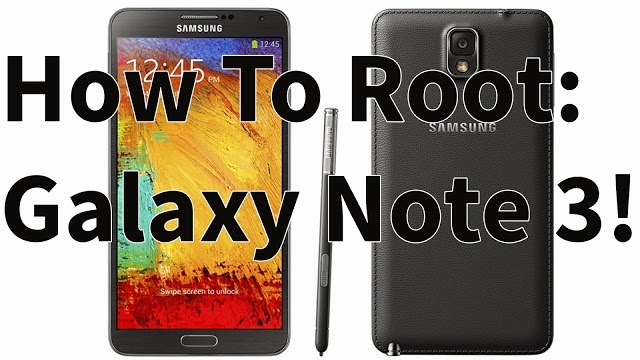 How to Root Galaxy Note 3 Android 4.4.2 KitKat! T-Mobile SM-N900T ~ AndroidRootz.com | Source for Android Rooting, ROMS, Tricks and More! Here's a guide on how to root the T-Mobile Galaxy Note 3 SM-N900T running on Android 4.4.2 KitKat. Rooting the Galaxy Note 3 will allow you to do so many more things to your phone. You can install custom ROMS like Paranoid Android or CyanogenMod, remove all of Samsung's and T-Mobile's bloatware, and even greatly improve the battery life of your Galaxy Note 3. Rooting your phone unlocks limitless possibilities that you can do to your phone. Follow the guide below to root the T-Mobile Galaxy Note 3 SM-N900T running on Android 4.4.2 KitKat. Note: Backup any important information before proceeding! 1. Make sure that you are on stock Samsung Android 4.4.2 KitKat, if you are not follow this guide first! 2. Enter your phone into "Download Mode". Make sure your phone is unplugged and turned off. Hold the volume down, home center, and power button at the same time. When you feel a vibration let go of the power, but keep holding onto the volume down and home button. 3. Press the volume up to continue and plug in your phone via microUSB. 4. Download Odin3v185.zip, CF-Auto-Root-hlte-hltexx-smn9005.zip, and philz_touch_6.19.3-hlte.tar.zip using the links below.